If you are already familiar or using with EFT, you’re going to love this technique because I’ve seen it improve the speed and effectiveness of an EFT tapping round by as much 10x. The technique is very simple. I call it the Sandwich Protocol. 1: Write down the intention or result you want to create from this self-care session. “Even though I have this_____________, I completely love and accept myself” Fill in the blank with what you are working on. 3: Write down the level of intensity (1-10) of the issue you have chosen to work with. 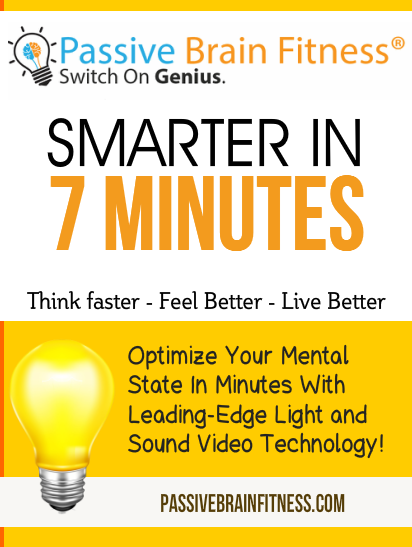 4: Load up a Passive Brain Fitness® Video from the Gear-UP category or Happiness and Productivity category. Videos from these categories stimulate and connect the brain using faster frequency sets. 5: Read your intention or outcome statement 3 times so that your conscious and unconscious minds are on the same page as far as what you want to happen. 6: With your headphones on, press play and watch the “Gear-Up” or “Happiness and Productivity” Passive Brain Fitness® video. 7: As you are watching the video, keep your intention/outcome statement fresh in your mind. 9: Do between one and three rounds. The choice is yours. 10: Once you’ve completed your EFT tapping sequence, load up and watch a Passive Brain Fitness® video from the “Gear-Down” category or “Mindfulness and Meditation” category. These types of videos connect and balance the brain using slower frequency sets. 11: Once it is complete, do an assessment of where you are now with compared to where you started with the issue you were working on. Write the new number down for comparison. If required, rinse and repeat BUT no more than 3 times in a single day for a specific issue. 24 hours later, rate the intensity of the issue you were working with again and write it down. Often, you will find that after a night’s sleep, the intensity will drop another point or more. This is the effect is directly related to the Passive Brain Fitness® videos. The technology will stimulate and encourage new wiring in the brain that will continue to solidify over a 24-hour period. Below is an older video that I made describing aspects of the technique with a quick demonstration of a tapping round. My conversation with Dr. Karen Kan was my absolute favorite of the year.Listen is as we talk about manifestation, life purpose and everything in between. The Doctor Said -> You’ll have to live with the pain for the rest of your life. It’s a “You have to learn how to walk before you can run” kinda thing!